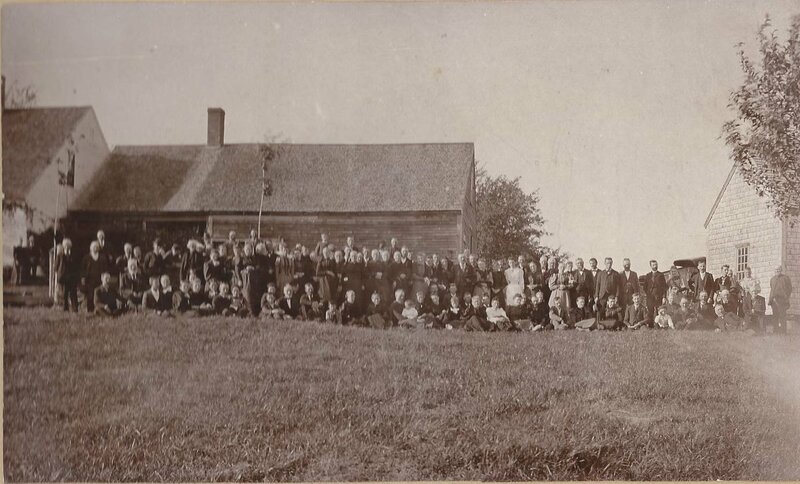 Large photograph of the family reunion of the Dinsmore family at Anson, Maine, possibly circa 1900. 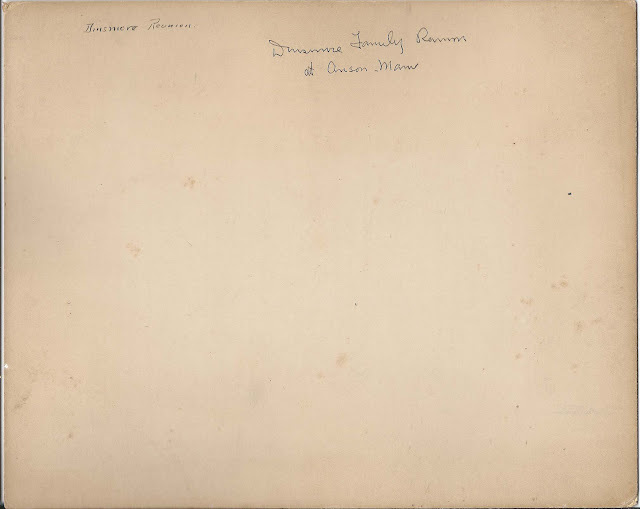 At that time there were many people surnamed Dinsmore in the area. 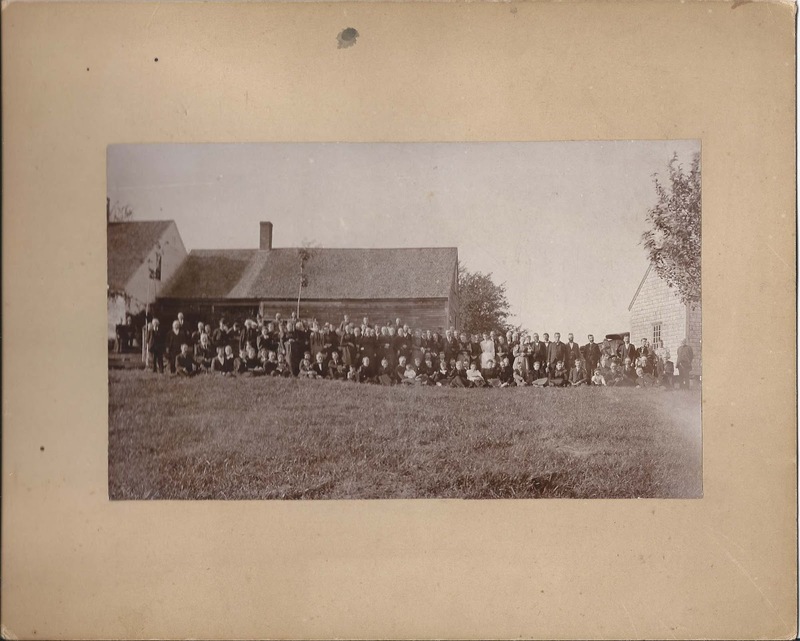 The photograph is approximately 10" x 8" when matted. The photograph itself is approximately 7-1/2" x 4-1/2", as shown below. I wonder if the farmstead is still standing. If you have information on the Dinsmore and related families of Somerset County and other counties of Maine, please leave a comment or contact me directly.